Friend of the company and Rainbow Awards host Elisa Rolle is presenting her new book, Days of Love, at Books & Books in Coral Gables, FL. Packed full of beautiful photos and illustrations it lovingly features the personal stories of 700 LGBT couples from the dawn of history to the present day. Many of the contemporary couples share their stories on how they met and fell in love, as well as photos from when they married or of the families they have started together. 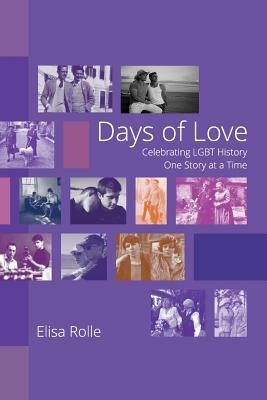 Days of Love is also a great source of LGBT trivia and stories that have all-too-often been written out of history. Find out more at Books & Books. Visit if you can!